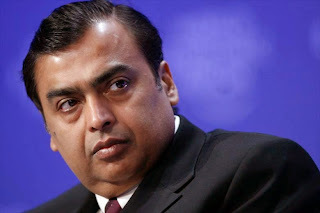 Reliance Jio Infocomm has launched its first product, a messaging app called Jio chat, on iOS and Android smartphones as the Mukesh Ambani-owned telecom operator builds up to its high-speed network launch, widely expected later this year. Jio Chat is the first product for consumption from the telco that has so far invested over 70,000 crore in its yet-to-be-launched 4G services. Following Jio Chat closely are health monitoring and television channels apps. Thereafter, the company is planning an app in finance and e-commerce, a person familiar with the matter told ET. "Jio is hoping that the experience of using these services will differentiate its 4G service from other rival networks," the person said. The television app, called Jio Play, will offer all television channels on air, and a latent recording of the last seven days. Users can rewind to any program they wish to watch within the week. "Making it available across platforms and useable across operators will create a ready-to-use application, and will test systems before the numbers add," said the person. He added that this way, even users may perceive the speed difference between existing and 4G networks when the Jio network comes online. The health application has a step counter and a page to input weight goals, track diet, and manage healthcare like medicine administration warnings. "We see this (Jio Chat) launch as the initial step in building the brand around Jio, and expect some more products in the coming months (co-branded handsets, online music stores, branded wifi hotspots etc) before the actual 4G launch," Credit Suisse said in a note. "More importantly, this app release suggests to us that the final 4G launch is not far away (probably just a few months away) - and quite contrary to recent street comments about a delay till mid-2016," it added. Similar to WhatsApp, Jio Chat allows short messages to be send from one user to another over an Internet connection. It also allows delivery of these messages in SMS format to unregistered users at no cost, beyond the data charges. The SMS incurs a termination charge of 0.02 each and is capped at 100 per month. For the user however, it makes a platform that can use both online chat and SMS when messages go undelivered making the entire phone book available to messages instantly, rather than waiting for registered users to garner momentum. The person receiving the message is warned of charges at the time of collecting the message. The chat service has the facility to use pictures, stickers and even hand drawings on the messenger. It further has a voice and video call facility that can engage two or multiple users in a common chat room. "On the basic voice calling facility, we believe the clarity and latency are quite close to normal voice (and better than that of apps like Viber). The data consumed for a call amounts to Rs0.24 per min on Jio Chat on prevailing data tariffs (compared to Rs0.65-0.70 per min regular outgoing call rates in the market)," Credit Suisse said. "If Jio launches with lower data tariffs, then the comparison could be even more attractive for the customer," the brokerage added. Jio has maintained that it will time its entry with a mature market and with sufficient avenues for its consumers to use its services. For that the company has been building content across categories, including this launch. Earlier this week, Reliance Communications had said there were around 43 mobile handsets available in India that support 4G service on the traditional CDMA band.